Coins 11 Greek Italy. Central and Southern Campania, Neapolis. 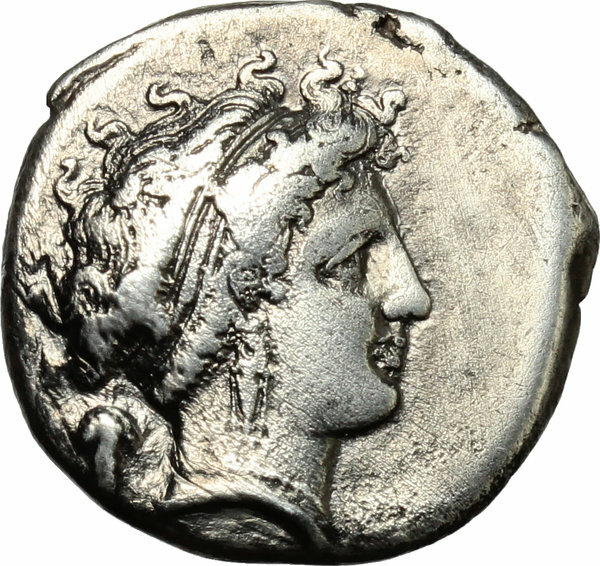 AR Didrachm, c. 320-300 BC. D/ Head of nymph right; grape bunch behind. 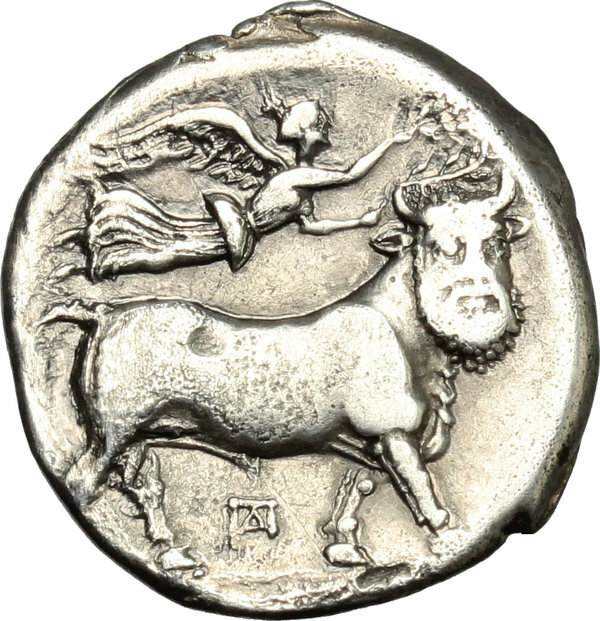 R/ Man-headed bull walking right; above, Nike flying right, crowning bull; below, ΠΔ monogram. HN Italy 571. SNG ANS 318. AR. g. 7.18 mm. 20.00 Good VF.